Defra has paid out more than £600 million in EU disallowance finances over the past eight years as a result of its disastrous implementation of the previous Common Agricultural Policy. The Department’s annual report and accounts reveal for the first time the cost, or at least part of it, of the botched attempt to introduce an online only application for the new Basic Payment Scheme. 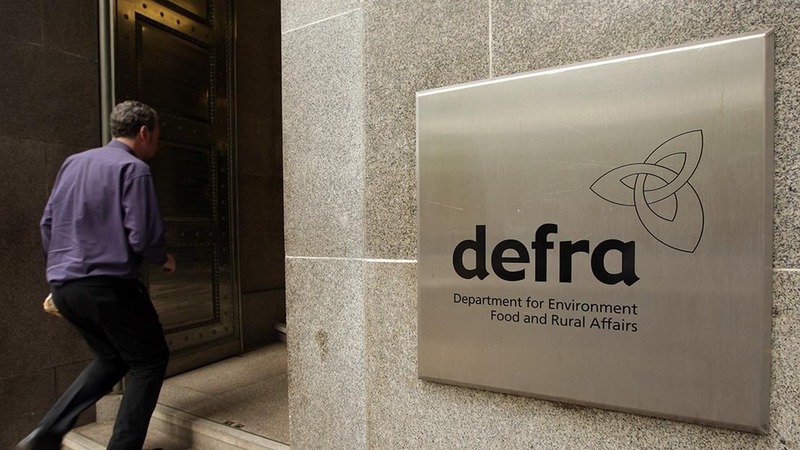 The accounts published on Tuesday, show Defra has been forced to write off £5 million as a result of the switch to a paper-based system this spring. But that pales into relative insignificance against the vast cost to the taxpayer of previous failures to implement the Single Payment Scheme properly. The total cumulative value of disallowance penalties recognised in the Department’s financial statements to March 31 2015 was £642m, mainly linked to inaccuracies with SPS between 2007 and 2013. This equates to ‘disallowance penalties’ of £2.70 for every £100 of CAP funds paid out to the UK from the European Commission since 2005. Over the period this represents the sixth highest figure in Europe out of 28 member states. The main causes of the penalties were late payment to farmers, poor mapping data used to verify applications, and shortcomings in cross-compliance controls, according to a report by the National Audit Office. The figure is certain to raise eyebrows given the current constraints on Defra’s budget and the pressure this is creating in key areas like responding to disease outbreaks, TB control and flood management. Defra’s 2014–15 financial statements include a provision for £65m of estimated future disallowance penalties, compared with £84m in 2013-14, although these penalties remain subject to challenge. This mainly relates to 2014 SPS penalties and cross compliance scheme audits relating to years 2010 to 2012. In his report, Sir Amyas Morse, the NAO’s Comptroller and Auditor General notes that the CAP 2014–20 schemes have not yet been subject to review by the Commission, and so levels of likely disallowance are not known. He said Defra and the Rural Payments Agency had made good progress over the last year in their approach to disallowance but warned they expect to face further disallowance fines under the complex new CAP. "The Department and the RPA expect increased disallowance in the early years of the new scheme because of the added complexity and the European Commission’s introduction of more stringent controls, he said. He highlighted EU mapping as a particular area of concern. “They have strengthened governance across organisations administering the CAP, improved understanding of the key drivers of disallowance, developed systems and processes to manage disallowance risk, adopted a more proactive approach with the Commission, and improved management information. “Nevertheless, there are persistent problems, chief of which has been deficiencies in mapping capabilities. He said the CAP 2014-2020 programme was ‘currently behind schedule. “Despite good progress on registrations, customers experienced issues with the initial release of the online service, in particular the portal and land mapping functionality,” he said. As at March 31 2015, Defra’s total IT expenditure under the Programme was £97.6m, of which £69m was capitalised, against an overall forecast spend on the project of £155m. “As a result of the issues identified, the Department has written-off £5.2m of this capitalised expenditure, with a review of the Programme’s business case and delivery model underway,” Sir Amyas said. In her foreword to the report, departing Defra Permanent Secretary Bronwyn Hill said efforts had been made across the Department to ‘integrate (the CAP) policy and operations more effectively’. Having extended the deadline, Defra had invested and have invested significant resources in the RPA to help farmers meet the deadline, she said. “Making rural payments and further simplification of the CAP will continue to be top priorities for the Department in 2015–16 and beyond,” Ms Hill said. A Defra spokesperson said: “We have plans in place to reduce the disallowance costs experienced in the past, including the improved use of satellite imagery and aerial photography of farmland to meet the mapping requirements of the new CAP.